Persian village rug made in the late 19th century. Wool on a wool foundation, very good condition. 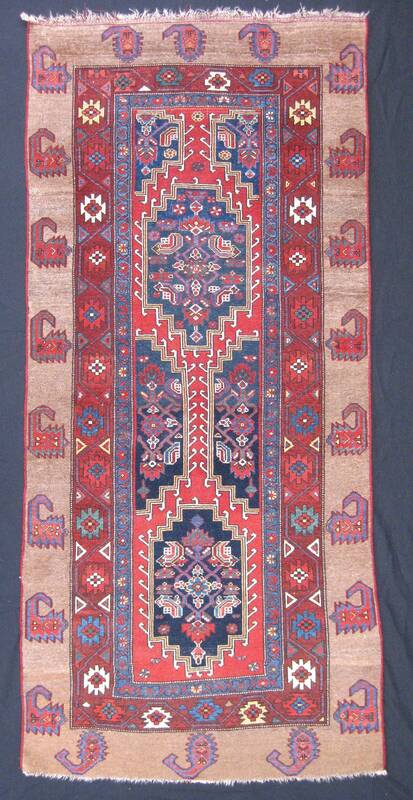 The simple, bold boteh design of the main border makes this village rug stand out.